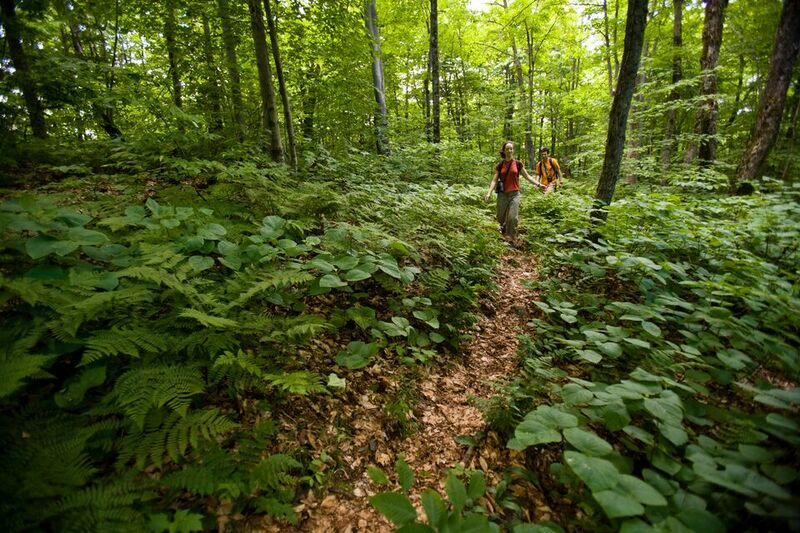 The Green Mountains are the backbone of more than 2 million acres of wildlife habitat, forests, and trails—including the Long Trail, the nation’s oldest long-distance hiking route; the Appalachian Trail, a National Scenic Trail; and the Catamount Trail, a ski trail that runs the length of Vermont. Development and growth of ski-resort towns and forest fragmentation are major threats to this iconic region. We are now focusing on conserving land along the entire length of the Green Mountains, from Massachusetts to Canada, by building on our successful work with communities and the Green Mountain National Forest to expand recreational access and protect headwaters to streams that provide both clean drinking water and flood resiliency to many Vermonters. In partnership with the Green Mountain Club, the Green Mountain National Forest, the Catamount Trail Alliance, the state of Vermont, and other community partners, we conserve land that improves our quality of life in Vermont by protecting public recreational access, sustainable timber harvesting, wildlife habitat, and water resources. To date, The Trust for Public Land has protected more than 46,500 acres in the Green Mountains, with a goal to conserve an additional 20,000 acres in the next decade, particularly along the Long Trail and Appalachian Trail.